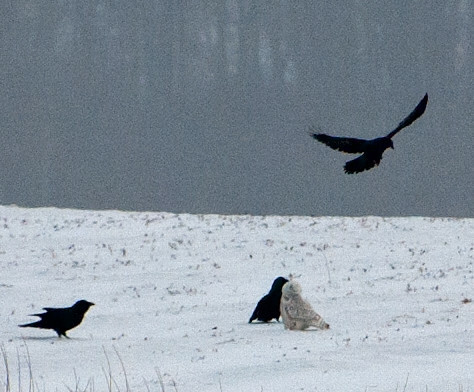 Next thing I knew the owl was getting a less-than-friendly “welcome to the neighborhood” greeting from at first one raven, then a second, and finally a third. 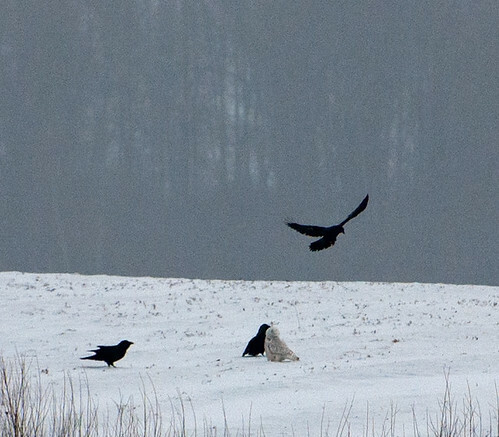 It was interesting to watch as the three ravens would seem to menace the owl and then the owl would suddenly leap towards one of the ravens leading with its talons. 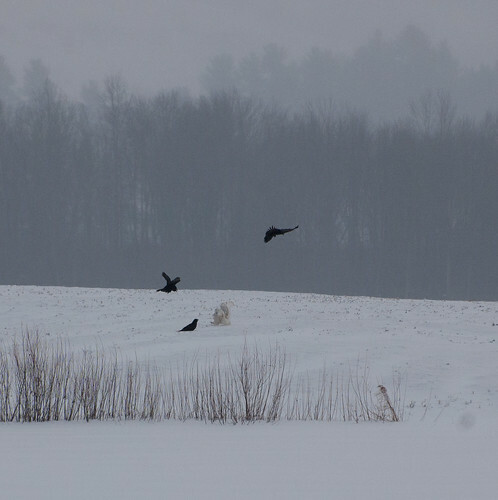 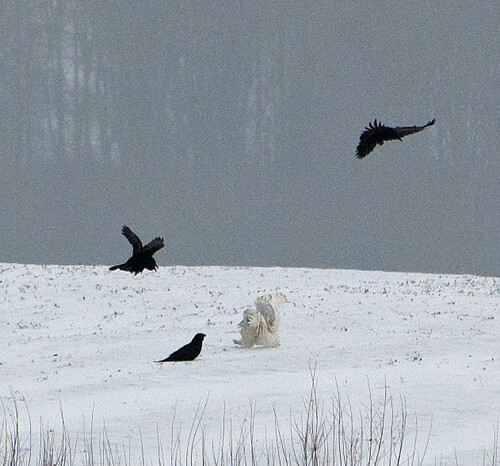 Eventually the three ravens decided not to push their luck and flew off leaving the snowy owl in peace. 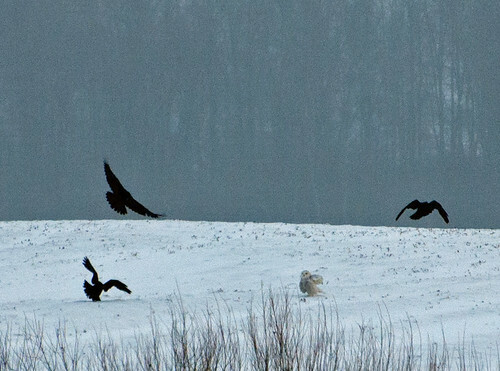 This entry was posted on 11 February 2014 by patacoate. 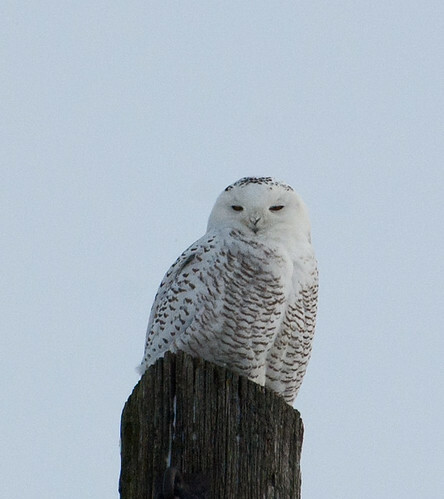 It was filed under iPhone and was tagged with snowy owl, snowy owl harassed by common ravens.